Last evening, I joined the Labour leader Eamon Gilmore, the Taoiseach Brian Cowen and Olivia Mitchell of Fine Gael in a visit to Dundrum Town Centre to advocate a Yes vote in the upcoming referendum on the Lisbon Treaty. There is no doubt that while the Labour party has been very vocal in the past number of months regarding the referendum, a joint canvass by ourselves, Fianna Fáil and Fine Gael can only serve to show the Irish public how strongly we all believe in a Yes vote. As we enter the final straight in terms of the campaign, it’s time to focus on getting people out to vote. It’s not too late to get up-to-date with what the Treaty is all about. There is still time to make an informed decision – and not to get caught up in many of the myths being pushed regarding the Treaty. More :: For more information on the Lisbon Treaty and to download a copy of the full text, visit the Labour Lisbon Treaty website. Alternatively visit the Referendum Commission website. Last night, Labour’s motion to reform the HSE were voted down by Fianna Fáil, the Greens and the PDs. Minister Harney was present for most of the debate and defended the HSE’s slow moving reforms by explaining that it was merely in its infancy. The proposals would have sought to establish clear lines of authority in the HSE, made the Minister for Health and Children more accountable to the Oireachtas and implemented parts of the HIQA report into the Rebecca O’Malley case. The health service is a subject which is brought up again and again in the Seanad, with members complaining of bureaucracy and that the HSE is an impenetrable organisation. It was a pity, therefore, that the government side of the house voted against the Labour proposals. I have no doubt that the complaints about the HSE from government senators will continue. Below, you will find my speech from last night. It is my pleasure to second this motion and welcome again the Minister for Health and Children to the House. I am interested to hear her response and those of our colleagues opposite in respect of the proposals we are bringing forward. I will repeat a challenge I threw down to the colleagues opposite yesterday. Hardly a day or week passes without one or other of our colleagues opposite coming into this House and quite correctly criticising an aspect of the health services that has come to their attention. Time and again they make the point about the system being dysfunctional and there being a lack of clarity in terms of responsibilities and management lines. They express their frustration in this House in respect of particular problems that arise and, more seriously, the inability to obtain clarity and answers to genuine issues which arise. The picture inevitably painted by colleagues on all sides of the House is of an almost Kafkaesque system which is impenetrable to public representatives, to say nothing of members of the public or citizens who seek to make sense of it. The frustration people have in trying to make sense of it has been echoed at the highest level in Government, as we know. A number of the Minister’s colleagues have reflected this in recent months. Today, the much anticipated Broadcasting Bill 2008 was at Second Stage in the Seanad. Below is my speech on the Bill. I welcome the Bill’s publication. As the Minister for Communications, Energy and Natural Resources stated last week, it is detailed and comprehensive legislation that proposes to amend and repeal broadcasting legislation dating back more than 50 years. It is a significant and unprecedented achievement and I congratulate the Minister and his officials on putting together in one Bill all of these initiatives and regulations in respect of the independent and public broadcasting sectors. I agree that the listener and the viewer should be central to the debate and our broadcasting regime, an aspect of the Bill that the Minister emphasised. It must not be a matter of the promotion of individual interests, including those of public or private sector broadcasters. I will revert to this issue when I address the Sound and Vision Fund referred to in the Bill. It is a question of putting the listener and the viewer centre stage in determining what type of broadcasting regime we desire. The Bill contains a number of welcome innovative provisions. For example, section 8 proposes to involve the joint committee in the appointment of members of the authority’s board and the RTE board. The Minister stated that some Members – he seemed to refer to Fine Gael Members, but they can speak for themselves – may have favoured a procedure for vetting proposed board members as opposed to a formal proposing role. He indicated his preference for the latter, in respect of which I support him. The committee should have a more proactive role in the appointment of board members of the authority and RTE and its involvement should have substance. As well as addressing the broad sweep of requirements in a broadcasting regime, the legislation maintains RTE and TG4 but deals with them separately. The relevant sections seem faithfully to repeat what has gone before while also seeking to modernise and streamline many of the provisions relating to public broadcasters. The legislation includes several significant and innovative changes. The Minister referred to the introduction of an Oireachtas channel. This is something we have raised in the House on previous occasions. It is an important development and I hope it will be operational sooner rather than later. There was a suggestion that it would be launched next year. I urge the Minister to do what he can to expedite it. I reflected on the Minister’s statement on the last occasion that one of his objectives in bringing forward this legislation is to shift the legislative basis of the television licence regime from wireless telegraphy to broadcasting legislation. One may wonder what that means. For many years, we have had an anachronistic approach to broadcasting, although there has been some change in this regard in the last ten or 20 years. For a long time, however, the attitude of the Government, Civil Service and of many politicians was proprietorial. It is not so long ago that the Taoiseach’s hero, Mr. Seán Lemass, declared that RTE had been set up by legislation as an instrument of public policy and, as such, was responsible to the Government. He further stated that the Government rejected the view that “RTE should be, either in general or in regard to its current affairs and news programmes, completely independent of Government supervision”. Mr. Lemass made that statement in the 1960s in reference to the 1960 legislation which will be repealed by this Bill. There are echoes of this attitude from time to time in this Chamber when Members are upset by something they see on RTE. However, in general, the view put forward by Mr. Lemass is no longer part of our culture. It is important that we have put our view of broadcasting onto a new plane, one that is more intelligent and more faithful to the purpose of broadcasting. Public service broadcasting should not be an instrument of public policy – and especially not of Government policy – but rather a vital aspect of our democratic system and culture in the broadest possible sense. There has been a sideshow skirmish revolving around the question of who is doing more in terms of the Lisbon treaty debate. I appeal to all sides of this House and elsewhere to move on from this nonsensical sideshow. This is the first reference made by myself or my colleagues in the House and we make it in a positive sense, something with which colleagues on the other side of the House might not be familiar. The Taoiseach made an ill-judged remark at the weekend and appears to want to move on. Yesterday, the Leader did not sound like he wanted to move on. If the treaty is to be passed, as desired by most Senators, engaging in a sad, sorry skirmish as to who is doing more in the midlands or elsewhere will not get anyone anywhere. What needs to be focused now is getting people to vote Yes, no matter what political creed they subscribe to. Let us get the facts out there. 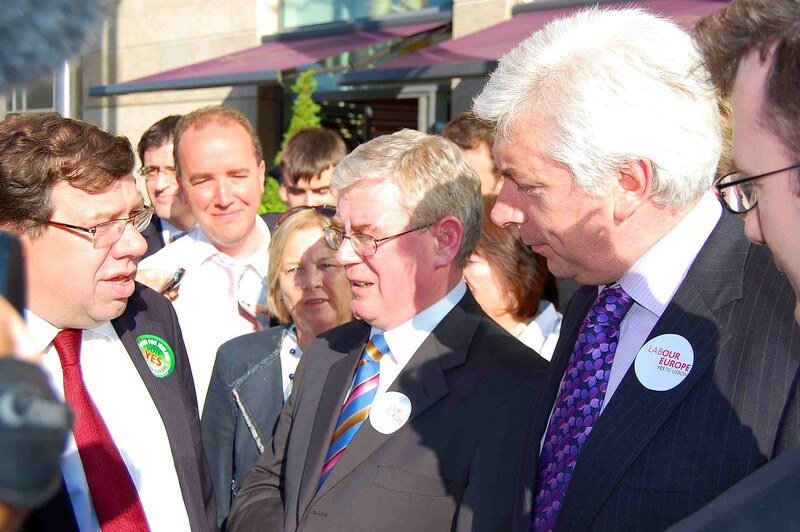 And let us resist the temptation we feel, as Eamon Gilmore said yesterday, to give each other a kicking. Tomorrow evening, the Labour party in the Seanad will raise an issue that has been talked about ad nauseam in the House. I refer to the future of the HSE. I invite all my colleagues on the opposite side of the House, who have expressed their frustration regarding the operations of the HSE on many occasions, to support the motion the Labour Party will be tabling. I invite the Leader of the Seanad and the Deputy Leader not to put forward the usual amendment that is tabled in respect of such a motion and which essentially involves deleting everything after the term “Seanad Éireann” and replacing it with something anodyne. I call on them to genuinely support what we are proposing, namely, a serious set of reforms regarding the HSE. The motion is not a personal attack on the Minister, the Government or anyone else, nor is it a retreading of old arguments; it is comprised of a positive set of proposals regarding how the HSE can be reformed. This issue has been raised on numerous occasions by Senators on the opposite side of the House and I invite them to support the Labour Party motion. More :: The Seanad debate on the HSE will take place at 5 p.m. on Wednesday May 28. You can view the proceedings live by clicking here. More :: You can read the wording of the Labour Private Members Motion by clicking here. More :: Learn more about Labour’s plans for reforming the HSE by clicking here. Last night was the last in our series of meetings on the Lisbon Treaty. The series really has worked out very well for myself and the constituency of Dublin South. I opened the meeting last night by saying that the most important thing about the Treaty was to publicise information on the Treaty. My guests were Peadar O Broin author of ‘The Consolidated Version of the Treaties’ and Blair Horan of the CPSU. Peadar told the audience that the Lisbon Treaty was about making the EU work more efficiently and transparently. “We have to remember that when this project started they were working from a model that suited six countries. In 2008, we have 27 countries working under that same project. The Treaty aims to tidy up and clarify the workings of the EU,” he said. Blair told the audience that the Treaty would result in the Charter of Fundamental Rights becoming legally enforceable. An interesting and comprehensive Q&A took place following the addresses. There were some very strong and passionate views brought forward from members of the audience, with both the Yes and No sides represented. One thing that struck me was the concern that some in the audience had regarding the Treaty, and the element of fear associated with it. I believe Peadar dealt very well with the crux of some of the arguments. In response to questions on our neutrality, all three speakers stated that the ‘Triple Lock’ mechanism stays in place, whereby any military participation needs to be accepted by the Government, the Oireachtas and there needs to be a UN Mandate allowing us to enter. Peadar gave an example of the EU peacekeeping presence in FYR Macedonia and said that Ireland could not get involved because there was no UN Mandate for such peacekeeping. Concern was also raised about the fact that only one mainstream party was against the Treaty and what this meant for democracy. I was quick to point out that the Labour Party had gone through the entire document and weighed up the pros and cons. If the party were to decide against the Treaty it would be dishonest to the people of the country. Nonetheless, the beauty of Irish democracy is that it is a peoples’ vote and not a political vote. Our final Information Meeting on the Lisbon Treaty will take place tonight. After two successful meetings in Dundrum and Nutgrove over the past two weeks, I will be speaking on the Treaty and what it’s all about at Kiely’s in Mount Merrion. My guests tonight will be Blair Horan of the CPSU and Peadar O Broin, author. The meetings have been designed for both those who have concerns about the Lisbon Treaty and those who feel uninformed thus far. We have had excellent attendances at our meetings in Dundrum and Nutgrove and I would encourage everyone to come along and take part in the informed debate. There is still confusion out there regarding what Lisbon really deals with. We have heard arguments regarding such issues as Ireland’s neutrality, taxes, and what it means for workers in Ireland in terms of rights. I feel that those who have come to the meetings have gone home with a clearer understanding of the Treaty and have the information they need in order to make an informed decision. Literature will be available at the door to take home. It is a public meeting and everyone is welcome. I hope to see you there. 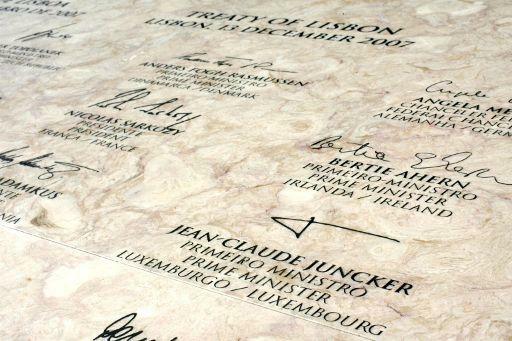 Wondering what the Lisbon Treaty is all about? Information Meeting, Kiely’s Mount Merrion, Tonight, Thursday 15 May, 8 pm. More :: Click here for directions to Kiely’s, Mount Merrion. Is ceart an-thábhachtach, atá ag gach duine sa tír, an cheart an Gaeilge a úsáid in imeachtaí os comhair na cúirte. Is fiú mórán an cheart sin. Caithfimid a bheith cinnte go bhfuil an tseirbhís sin le fáil sna cúirteanna ag gach éinne a theastaíonn uathu tairbhe a bhaint as. Ba chóir dúinn córas éifeachtach a chur i bhfeidhm. Caithfidh an chóras sin a bheith macánta freisin. Luaigh an Aire an Acht Lucht Cleachtuithe Dlí (Cáilíocht) 1929, a fhorálann gur chóir d’abhcóidí “leor-eolas” ar an dteanga a bheith acu. Mínítear “leor-eolas” san Acht sin mar an méid sin oilteachta i labhairt agus i scríobh na Gaeilge agus is leor chun a chur ar chumas cleachtóra dlí, le héifeacht, treoracha a ghlacadh, comhairle a thabhairt do chliaint, finnéithe a cheistiú agus imeachtaí sa Ghaeilge a thuiscint. Is abhcóide mé le blianta fada anuas agus dá bhrí sin, is féidir liom an cheist a chur – cé mhéad abhcóidí a bhfuil na scileanna sin acu, go macánta? Tá suim ag a lán abhcóidí sa Leabharlann Dlí sa Ghaeilge. Níl siad in ann cásanna a dhéanamh sna cúirteanna trí Ghaeilge mar níl an caighdeán oiriúnach acu. Tá sé ag roinnt abhcóidí, ach níl sé ag formhór dóibh. We must be honest about having a system in place that allows and provides for an efficient and reliable system to be available for people who wish to have their business in court conducted in Irish. There is little point in continuing with what in reality has been a fiction. The fiction goes back to the 1929 Act where that system was put in place. For 80 years it simply has not been the reality at the level that was contemplated in 1929. Rinne mé an scrúdú seo i 1987, nuair a bhí mé in Óstaí an Rí. Bhí olltoghchán ar siúl ag an am céanna. Bhí mé ag obair i RTE ag an am sin. Tháinig na torthaí amach an lá tar éis an toghchán. Ní raibh mórán ullmhúcháin déanta agam don scrúdú Gaeilge an lá chéanna. Chuaigh me isteach go dtí Óstaí an Rí ar mo rothar chun bualadh leis an scrúdaitheoir. Bhí an-suim aige sna torthaí ó Chontae Maigh Eo. D’éirigh liom sa scrúdú Gaeilge. I was delighted to pass the test but somewhat miffed to discover that my friend, who had never learned a single word of Irish ever because he had been given some sort of dispensation or exemption in school, passed with equally flying colours ten minutes later. This was the sort of fiction that was evident. Admittedly, this has improved in recent years. I agree very strongly with my colleagues’ point that we need to put in place a system that does justice to the language and makes presumptions about people’s knowledge thereof. As Senator McDonald rightly said, the system should encourage professional lawyers to learn Irish and reach a certain level of proficiency while at the same time favouring those who make an effort to reach a higher level. There was some debate on a number of amendments tabled by my colleague, Deputy Brian O’Shea, in the Dáil. The then Minister of State, Deputy Carey, said that during Committee Stage in this House, he would return to some of the matters raised. Nuair a bheidh an díospóireacht againn, b’fhéidir go mbeidh further discussion againn on individuals who are already in the system. I refer also to those who went through the system 30 or 40 years ago but who did not pass the test and were deprived of their qualification. I do not know why they did not have the same outcome as my friend who did not have a word of Irish. Perhaps they did not have the same examiner. Níos Mó :: Léamh an Bhille na nDlí-Chleachtóirí (An Ghaeilge) 2007 anseo. Read the Legal Practitioners (Irish Language) Bill 2007 here. I was on RTE Radio 1’s The Late Debate last night. On the panel with me was Mary O’Rourke TD, Fionnan Sheehan of the Irish Independent and Harry McGee of the Irish Times. The topics discussed included the announcement of the new Ministers of State, Brian Cowen and the media and a good discussion on the Dublin South constituency. More :: To listen to the show, click here.